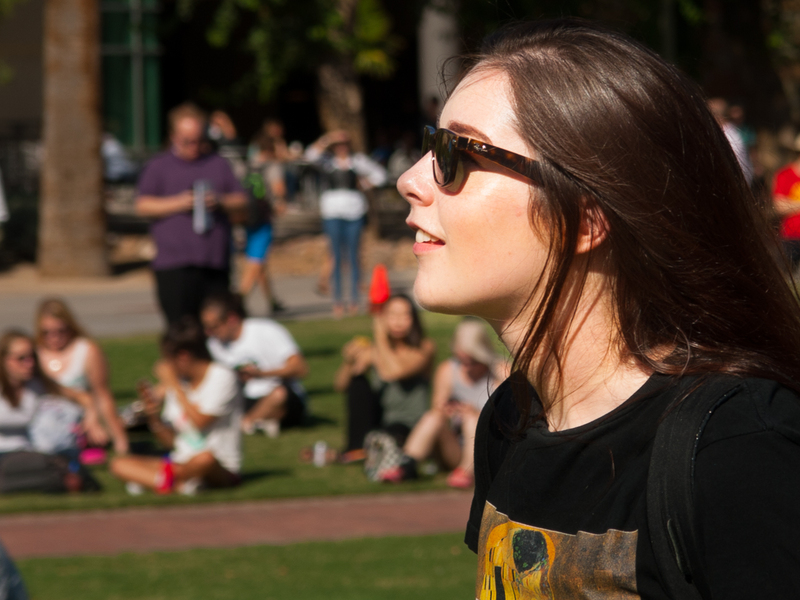 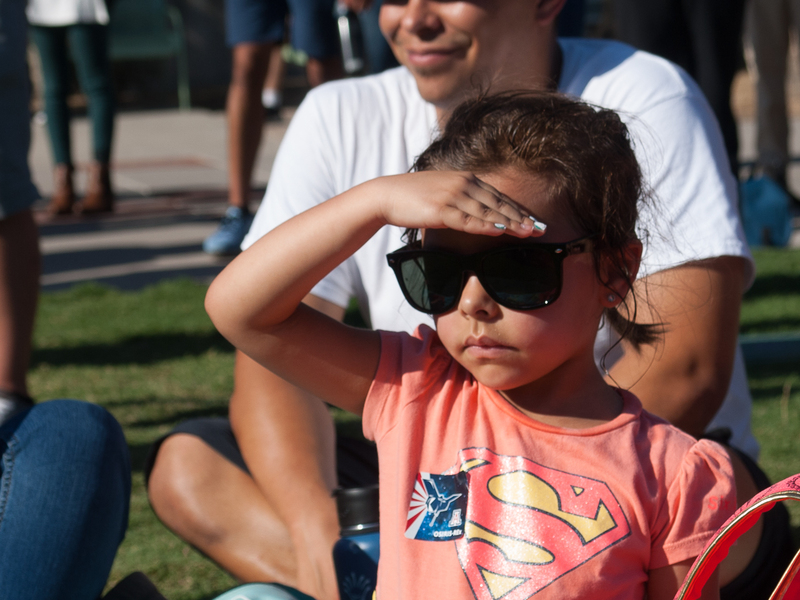 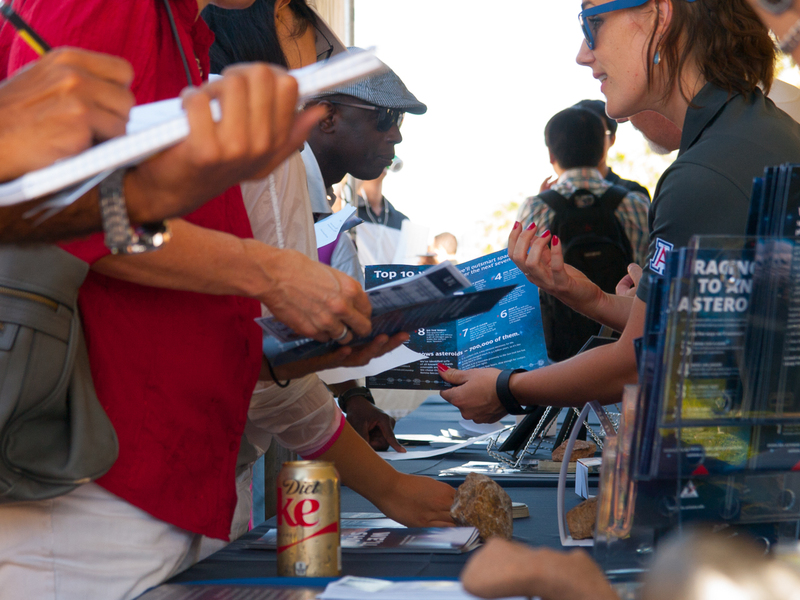 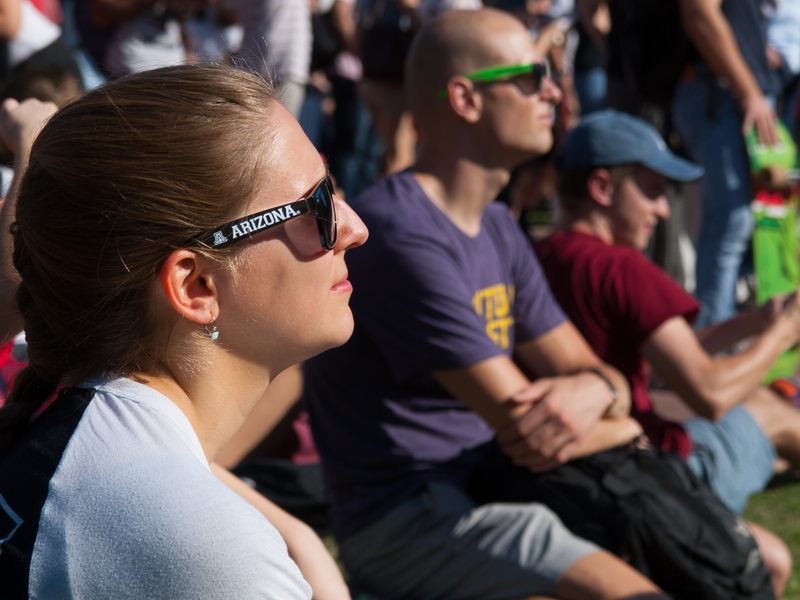 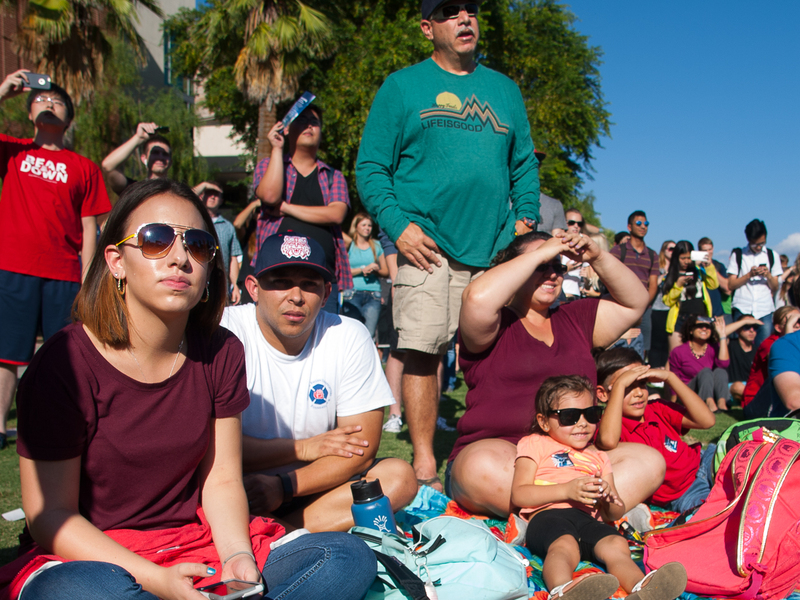 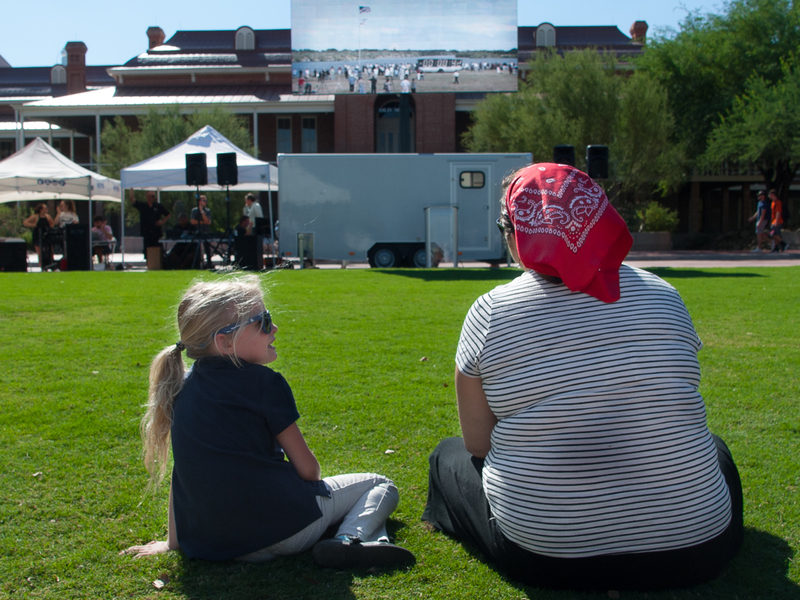 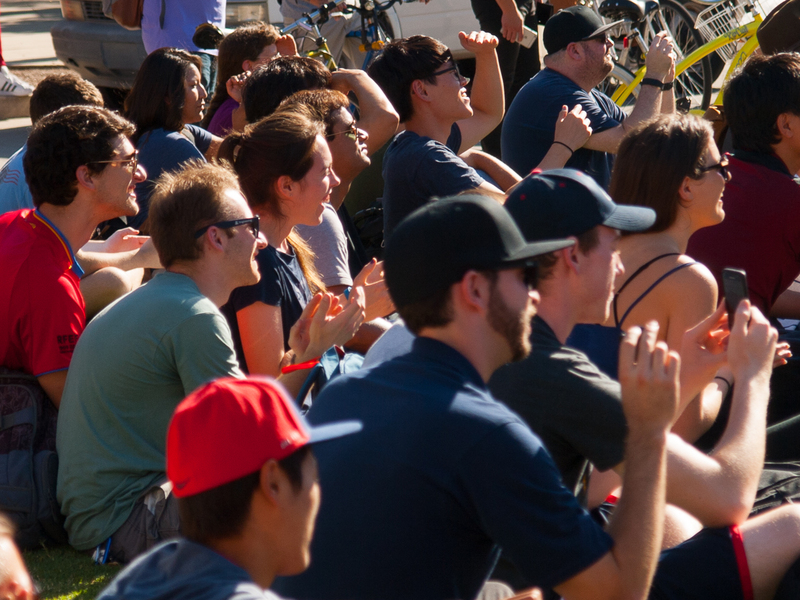 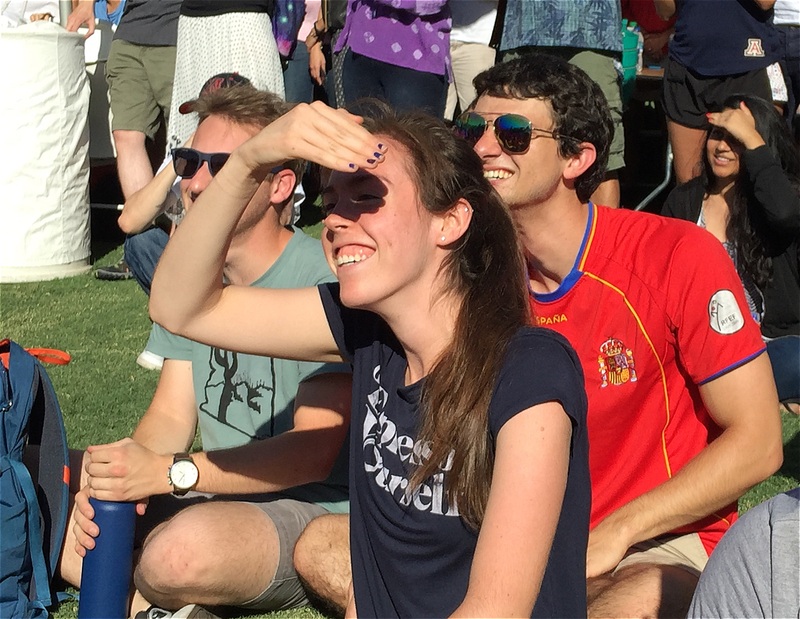 Hundreds of people flocked to the University of Arizona on Sept. 8 to watch OSIRIS-REx blast off into space on a big screen set up in front of Old Main. 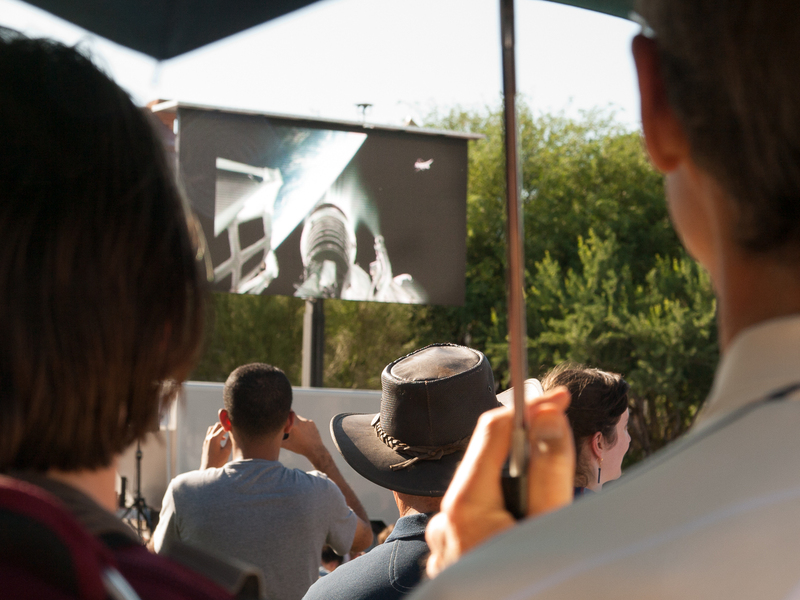 The asteroid sample return mission lifted off from Florida as people on the UA Mall watched live. 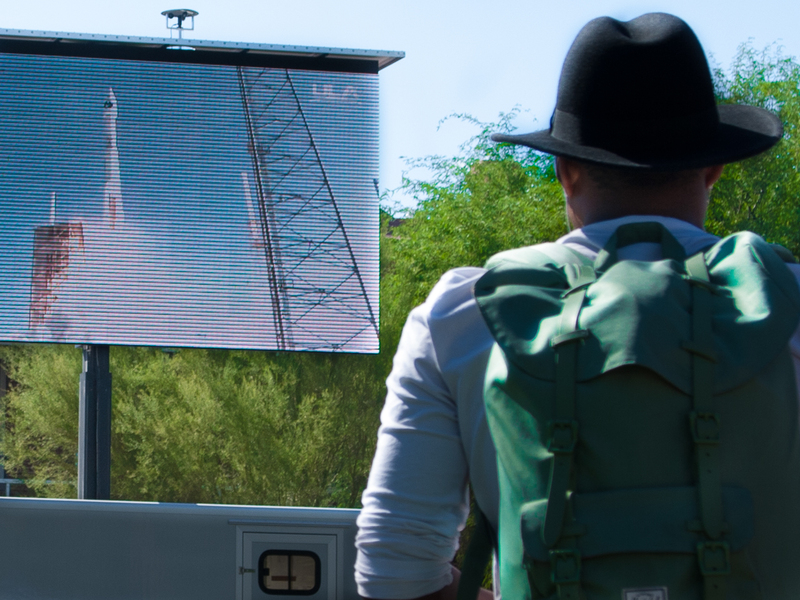 The Origins, Spectral Interpretation, Resource Identification, Security-Regolith Explorer (OSIRIS-REx) spacecraft is designed to rendezvous with, study, and return a sample of the asteroid Bennu to Earth. 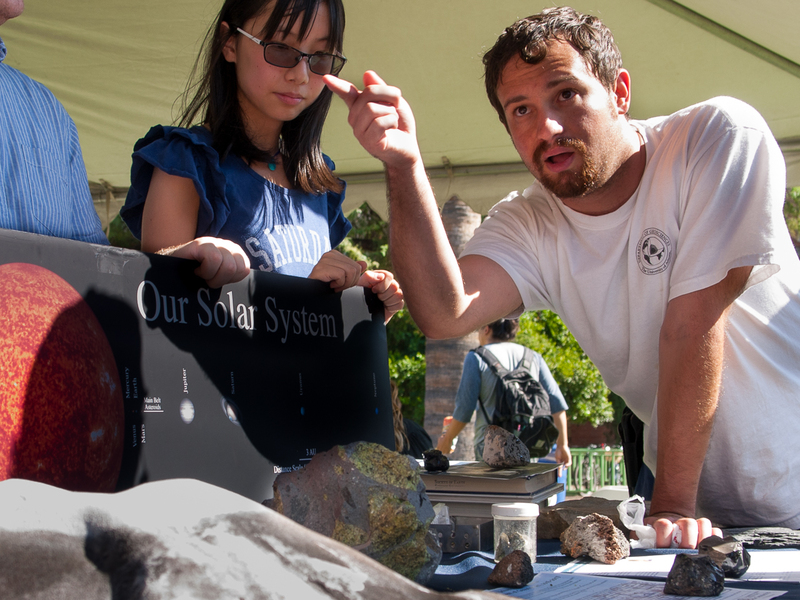 Asteroids like Bennu are remnants from the formation of our solar system more than 4.5 billion years ago. 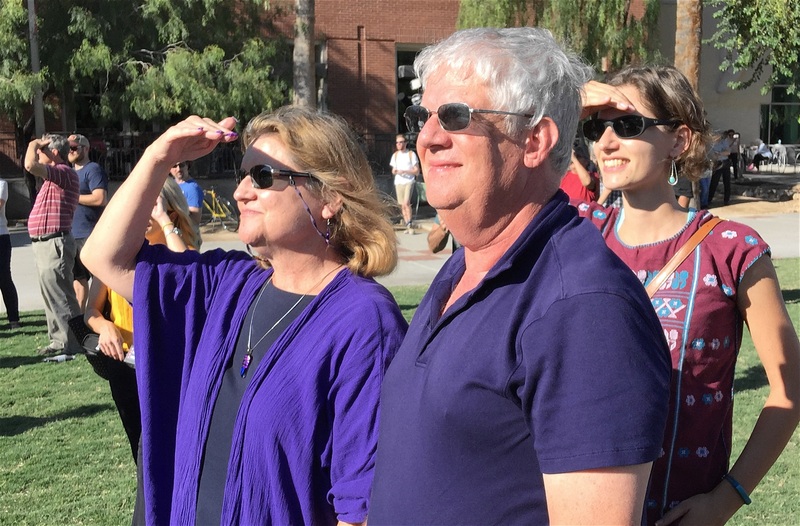 Scientists suspect that asteroids may have been a source of the water and organic molecules for the early earth and other planetary bodies. 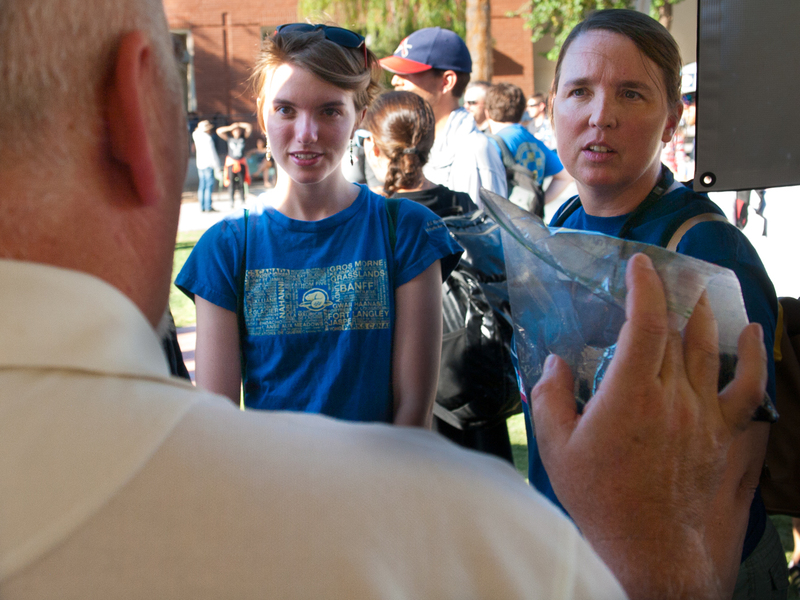 An uncontaminated asteroid sample from a known source would enable precise analyses, providing results far beyond what can be achieved by spacecraft-based instruments or by studying meteorites.